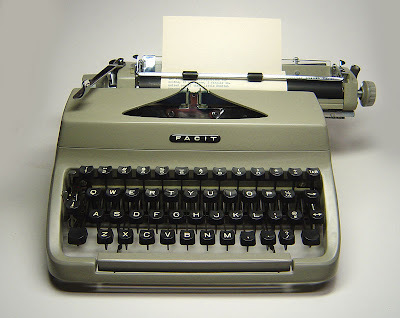 Typospherians have commented on how the exact same model portable typewriter can sometimes vary considerably in quality from machine to machine. This could be a classic example. 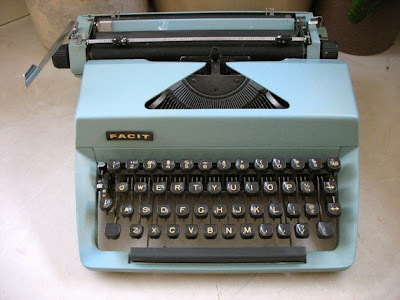 Or it might be a classic case of a typewriter manufacturer cutting the cost of the high-quality production of a very good typewriter and coming up with a later model which is a markedly inferior. 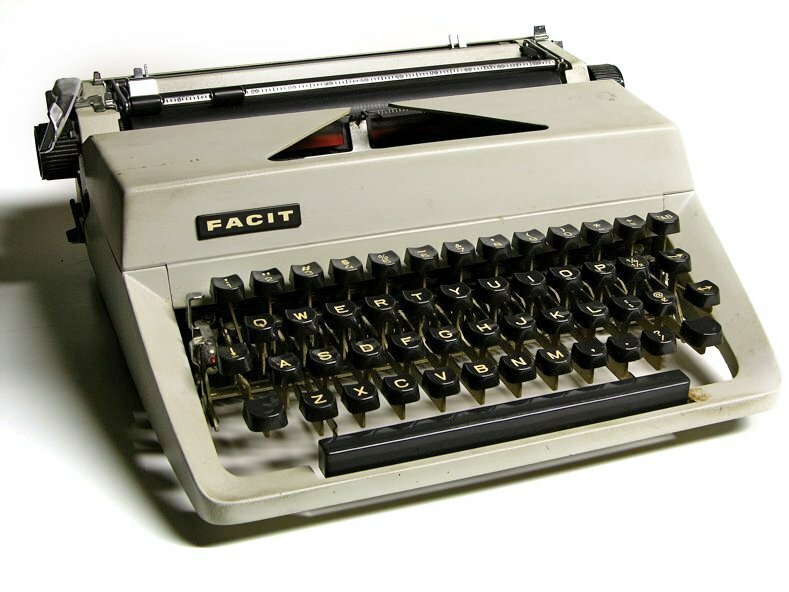 This led me to take out of storage and clean up another Facit portable I have, the first one I bought – many years before the fabulous TP1 on which I posted last October. I remember being a little disappointed in my first Facit when fellow Australian collector, Richard Amery, delivered it to me way back then. But I pretty quickly put that out of my mind and promptly forgot about the machine. Perhaps this explains why I found my later TP1 such an unexpected delight. I don't have the TP2 that Richard Polt asked about. What I have is two TP1s that are so very different in quality. The earlier one just feels and somehow looks so different from my later TP1 (which is back in storage, so I can’t put them side by side for a comparison). Robert, what exactly distinguishes a TP1 from a TP2. How can I determine which I have? Thanks. I do like its action and quality feel, which is close to my SM8; right up there. @ Michael, I do not have a TP2, only a TP1, but the logo is different on the TP1 and TP2. Also many of the TP2 were white or blue. @Robert, Thank you for the post. I did not know the TP1 came in anything but grey or brown. Based on photos I'd say that the TP2 looks a little more angular in the corners and in details such as the carriage return lever tip. I see that your inferior TP1 seems not to have the tabulator controls on either end. Does it have no tabulator at all? I also don't see the tubular carriage guide -- or is it just out of sight? Are you sure that the inferior one is later than the better one? In any case, there do seem to be distinctly different variants. This comes up a lot, this different-model-with-no-apparent-differences situation. It seems that the TP1 and TP2 differ only in trivial ways yet they merit different designations. In this blog episode, it seems that the two TP1s differ from each other more than from the TP2. The various Olympia SM models are notoriously hard to distinguish. 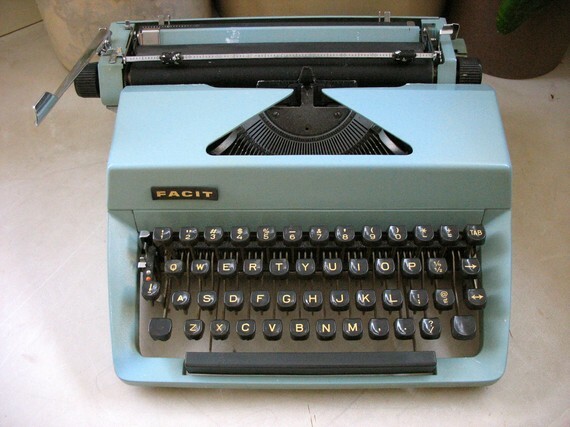 And Olivetti ... oy! Or is it that the difference(s) is deep inside and we don't recognize the reworking of a linkage or introduction (or dropping) of ball bearings? Or is it a worry that sales are dropping off and they need something new so they rename the machine and move the logo to refresh the line? That doesn't fit the northern European stereotype, though. And the equally vexing opposite problem of the same designator serving radically different designs over the decades. Oh, I'm sure the companies are only concerned with current models and certainly not with collectors, and they do want to get maximum mileage out of a popular name. Or, likely, do the different motivations fit different companies at different times? It would be interesting to discover patterns that might make the companies' output more understandable. This sport of typarcheology is in its infancy. Robert, please forgive the long comment, but you are such a thorough researcher and writer that I thought you won't mind. I knew that many Typospherians like the Facit TP1, but when a TP2 once showed up on a local auction site, I hestitated to bid, since it was the TP2 - seems like noone really knows about that. And I didn't realise the TP1 is that much less edgy, I think I definitely prefer the TP1 design. The TP2 has all the look of being designed by a committee. It's clearly modeled after the TP1, but the charm and style have been rubbed out. Shame. 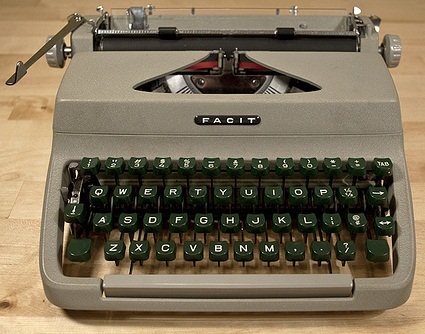 I have just purchaced a Facit typewriter. I believe it's from the 1970's. My question. Do you know how to make the carriage move from left to right? It seems to only want to type in the middle? I really think it must be something easy but I just can't figure it out! Thanks!